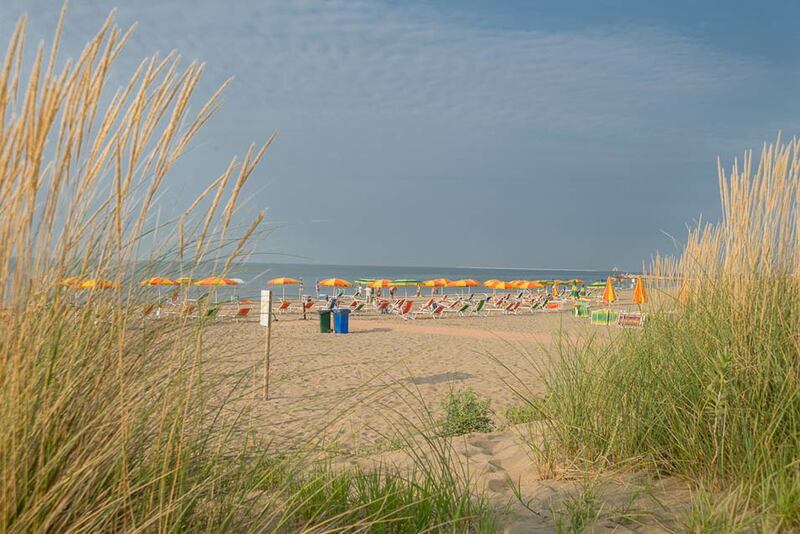 Our campsite is located on the beach in Cavallino, right in front of the sea: a magical place, with fine sand, ideal for children's games and safe even during the bath time, thanks to the slow gradation of the water depth, making the parents more secure and calm. 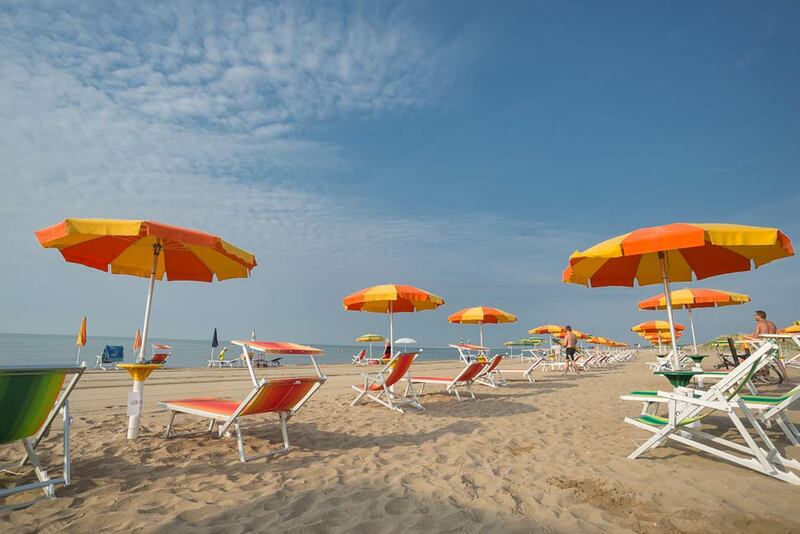 The beach is cleaned every day by the camp staff and is equipped with sunbeds and umbrellas available for a fee, while those who want, can use their own equipment. The rescue staff ensures an accurate control and a prompt intervention in case of need. 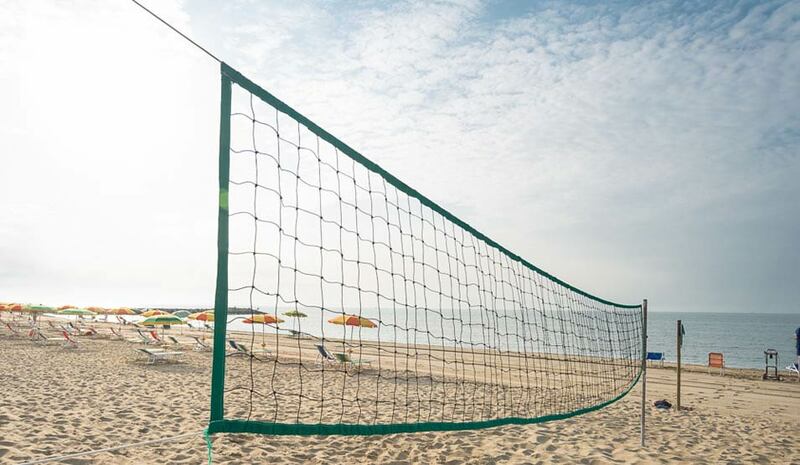 The beach is entirely covered by wireless internet line and borders an unspoiled nature zone, protected by regulations, where the flora and fauna are the real stars of the environment. In addition, a few miles from the coast, at a depth between 15 and 40 meters, there are the so-called Tegnue, real and true reefs that have been formed over thousands of years, an oasis hidden and protected from the rest of the world. Moreover, the beach is easily accessible to people with physical difficulties. Guests who might need it, have at their disposition a special wheelchair ideal for moving on the sand and swimming in the sea, always with the help of our staff. On request, it is possible to rent the stations that are set up with platforms that allow access and the stationing of the wheelchair under the umbrella. Our beach has also received a special recognition with the Blue Flag award. 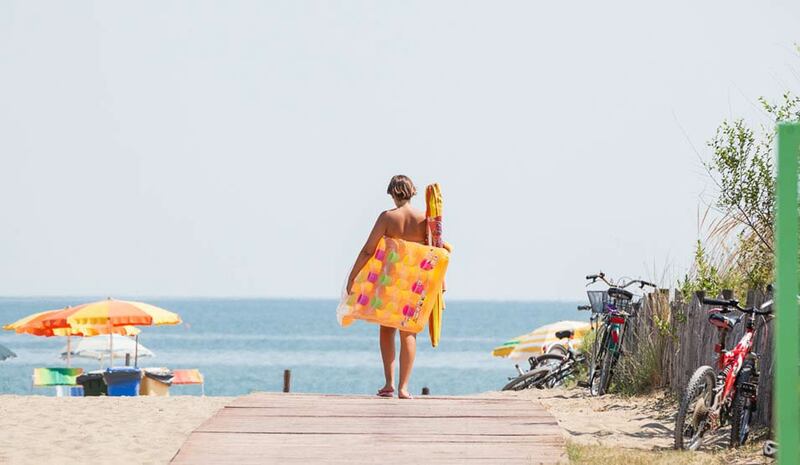 The Cavallino coast has been awarded the blue flag for several years in a row. This is a special award given to the coastal areas for the certification of the environmental quality of the location. The main objective is to promote sustainable management of the territory, through the attention and care for the environment; particularly for the quality of bathing water, the separate management of waste and the presence of certain support services available to tourists in regard to bathing that guarantee enjoyment even to people with disabilities.